You are at:Home»In-depth»Why are young tech billionaires so boring? Early in Warren Buffett’s life, his father failed to get hired at the family grocery store during the Great Depression. Without a job, and without any money after a run on the banks, the family of four ran up a tab of grocery bills at the store to put food on the table, and even then, his mother sometimes skipped meals. Leila Buffett, beset by stress and with a mind likely impacted by Linotype fumes she inhaled as a child, would often berate her two small children. On Friday, the legendary investor, 87, was surpassed in wealth by 34-year-old Mark Zuckerberg. The gap was closed in part by Facebook’s surging stock — up 15% this year so far — and in part by Buffett’s large charitable cash outflows. Today, the three richest people in the world, Jeff Bezos, Bill Gates and Zuckerberg, have all made their fortunes in tech. Zuckerberg’s story is typical of the slate of newly minted technology billionaires in the ranks of the Bloomberg Billionaires Index. And there are a lot of them. With 64 technology businessmen and women on Bloomberg’s list, which tracks the world’s 500 richest people, the industry has produced more billionaires than any other (unless you count inheritances — there’s a lot of inherited wealth on the list, too). This year alone, tech has created 11 new billionaires. But there’s something missing from the foundational stories of this new group of self-made men (yes, they’re mostly men). Where earlier generations’ formative experiences revolved around paper routes and pathos, today’s prototypical founding story involves an upper-middle-class childhood, early access to a computer, and an elite education — even if that education was abandoned. 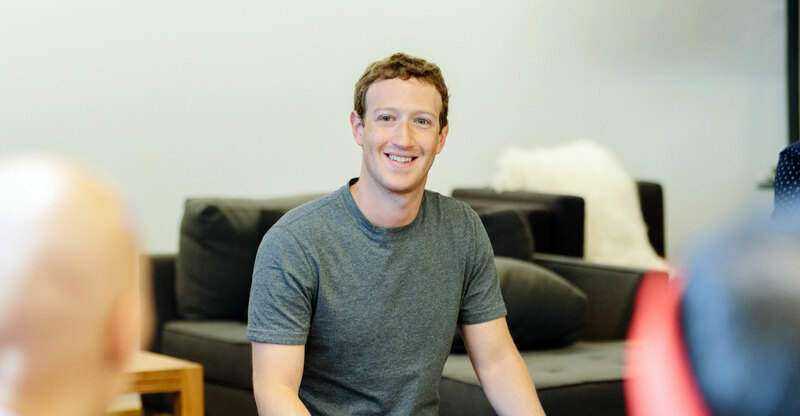 Before he famously walked out of Harvard University, Zuckerberg created an instant messaging system for his dad’s dental practice at age 12. At 15, Twitter’s Jack Dorsey was dazzling his bosses during a programming internship. And Uber’s Travis Kalanick was writing code by middle school. The self-made man has always played a profound role in the American imagination. Horatio Alger wrote stories of plucky, lower-class strivers who made their way in the world by dint of honesty and hard work. Hollywood has fetishised the underdog since movies were invented. And for years, the business world offered real stories, too. But the modern rise of the Harvard dropout (or New York University in Dorsey’s case, or UCLA in Kalanick’s case), complicates that story. Today’s founders are long on brilliance, but short on hardship. It’s difficult, after all, to become a computer prodigy without a computer. That dollop of privilege speaks to a larger trend in the American economy: for millions of low-income people, it’s getting harder to build something from nothing. In order to drop out of Harvard, first you have to get in. 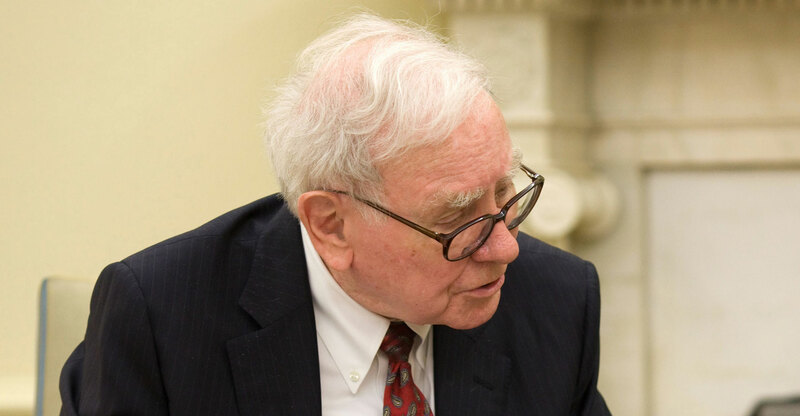 Buffett, with a father who was a politician and investor, often jokes that despite the family’s temporary bout with poverty, he won the “ovarian lottery”. He would eventually attend Columbia Business School and study with renowned investor Benjamin Graham. But for many leaders of Buffett’s generation, dorm rooms weren’t a part of the origin story. Consider Bruton Smith, who until he stepped down as CEO of Speedway Motorsports in 2015 at age 88, was one of the oldest serving public company leaders. Smith grew up on a farm, never went to college, and once took a shotgun to a construction site to settle a labour dispute. Oil baron Harold Hamm, born in 1945 as the youngest of 13 children of Oklahoma sharecroppers, drilled his first oil well at age 25 (it eventually paid for college). And then there’s recently deceased casino and movie magnate Kirk Kerkorian, born in 1917, who faked documentation of a high school graduation in order to join the military as a pilot. In some ways, it’s great to live in the age of the nerd. And it’s tough to mourn the decline of Wall Street-style corporate machismo. But a poor kid growing up today may find it much harder to emulate the life path of someone like Zuckerberg, who coded an instant messaging system before hitting puberty, than that of even Goldman Sachs CEO Lloyd Blankfein, who grew up in Brooklyn housing projects and at one point served concessions at Yankee Stadium to earn extra money. Statistically as well as anecdotally, true American rags-to-riches stories are getting rarer. Class mobility, as defined by the percentage of children who earn more than their parents, has been in a state of mostly uninterrupted decline since the 1940s. Economist Raj Chetty found that only about half of the children born in 1980 have surpassed their parents’ income. In 1940, that number exceeded 90%. Of course, most successful entrepreneurs have earnings that vastly outstrip their parents’. In fact, they outstrip the earnings of nearly every human in history. In by-now-familiar statistics, the rate of income growth at the top levels of earning in the US have far outpaced growth at the bottom segments (in the 1980s, it was the other way around, according to research by Thomas Piketty, Emmanuel Saez and Gabriel Zucman). Last year, Oxfam International found that more than 80% of earnings went to the top 1% of the world population. That so many of today’s new billionaires mostly come from comfortable backgrounds is emblematic of a broader concentrating of wealth in the US. According to recent Federal Reserve data, the median family’s net worth had not recovered its pre-recession value by 2016, while the top 10% gained double digits since 2007. Of course, you can still find evidence of rough patches and plenty of hard work in the early childhoods of today’s wealthiest tech luminaries. 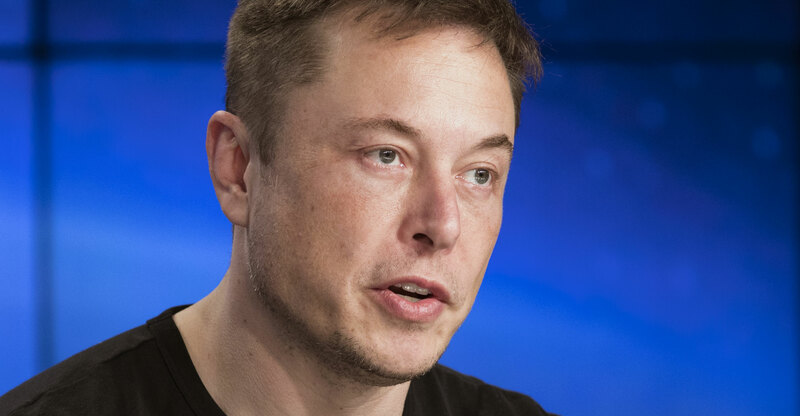 Elon Musk, 47, an immigrant from South Africa, came from wealth, but was bullied as a kid before moving to Canada alone at just 17, where he enrolled in Queens University and transferred to the University of Pennsylvania, before eventually dropping out of a Stanford University PhD programme. Jeff Bezos, 54, was born when his mother was 16 years old, and was adopted by her second husband, a Cuban immigrant and an engineer. And Sergey Brin, 44, came to the US as a six-year-old, when his parents traded the anti-Semitic backdrop of Moscow academia for a new life in the US. But even these founders, who all had at least one parent with a science background, stand in contrast to an earlier era. According to the Bloomberg Billionaire Index, the second-oldest self-made American billionaire is Amway’s Richard DeVos, born in 1926. DeVos was a boy when his father lost his job as an electrician during the Great Depression, and the family moved in with his grandparents. He remembered stuffing a baseball with fabric and tying it together because he and his friends couldn’t afford a new one. As a sophomore, he was labelled “not college material”, sent to trade school, and had to work to pay his way back into the local Christian high school. Ted Lerner, who at 92 is the oldest self-made man on the Bloomberg index, is the son of a clothing salesman from Palestine. He grew up in an immigrant community in Washington, and recalled to a local paper, “I remember chickens being plucked and koshered on Georgia Avenue.” Casino mogul Sheldon Adelson, 84, now a controversial figure in US politics, grew up in a working-class Boston neighbourhood as the son of a taxi driver. Eli Broad, born in 1933, is the son of a Lithuanian house painter, went on to become the only man to found two Fortune 500 companies in two different industries: housing and financial services. It is, of course, not the fault of tech’s young luminaries that the economy has shifted toward technological skills. Even as it’s boosted Americans’ standard of living, the rapid pace of innovation has made education an increasingly important factor in determining income, a trend that in turn has exacerbated rising inequality. Overall educational attainment in the US is rising, but nearly 70% of the adult population has still never graduated from college. That’s even though higher education has increasingly become a prerequisite for white-collar work. The college wage premium, or what bachelor’s degree holders make compared to high school graduates, has skyrocketed since the 1970s and now hovers at about 50%, near-record levels. The so-called “digital divide” between rich and poor households, has reinforced the gap between haves and have-nots. Despite the pervasiveness of personal computing, poor kids today are less likely to have access to the programs that could help them develop early coding genius. According to Pew Research Centre data, 87% of households with an income of $75 000 or higher use broadband at home. But for households making less than $30 000, it’s only 45%. That inequality of opportunity is rising is hardly a matter of debate. What’s still unclear, though, is the eventual result. Besides barring the path for talented people of limited means, a widening chasm between the rich and everyone else also presents political problems. Witness mounting anger at tech companies in cities like San Francisco and Seattle. The Seattle city council voted to levy a punitive per-worker tax on Amazon and other large employers in response to the area’s growing homelessness problem. Seattle officials relented, but tensions still simmer beneath the surface nationwide, threatening to boil over in unpredictable ways. And unlike yesterday’s titans, the newest of generation billionaires don’t have histories likely to assuage popular resentment. The three youngest self-made billionaires on Bloomberg’s index are all Facebook co-founders. Their story is legend: after Zuckerberg’s auspicious beginnings in Dobbs Ferry, he created a hotness-ranking tool called Facemash before he and his friends dropped out to found Thefacebook.com. Just above them on the list in age is Sean Parker, now 38, who took up programming early and interned for future Zynga CEO Mark Pincus while he was still in high school. This is not a lamentation of the comfortable childhoods of corporate leaders. In some ways, the American myth of the up-from-nothing elite was always mostly imagined. The likelihood that a child today will rise from the lowest to the highest quintile of earnings, is less than 10%. That’s low compared to other rich countries, according to Chetty’s data, but it’s not much changed since the 1970s.